Genius in a Double-Ended Tube! I love genius. I love when people or companies have great ideas. Rarely has a beauty product idea been better than the one from ELF. 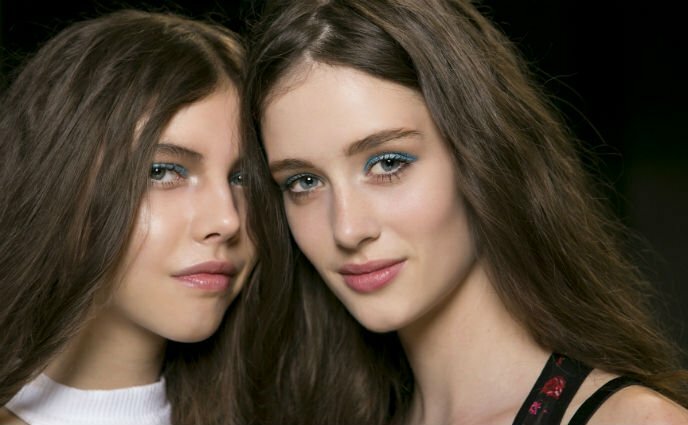 Their "Studio Eye Primer and Liner Sealer" is beyond brilliant--and for $3.00! Before using your eye shadows, pat the natural-colored primer over lids to keep eye shadow in place for a very, very long time. Want to create your own liner? 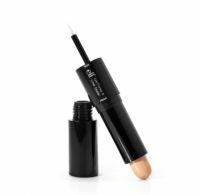 Simply dip the other en...read mored of the tube--a waterproof, yes, waterproof--sealer into an eye shadow and create a stay-put liner. You have the perfect coordinating or contrasting color. I never have enough of these on hand (one on my vanity, another in the bathroom, and yet another in my purse). A hint here: Because you are using the liner in different shadows, be sure to wipe it clean and wash it occasionally so that you don't ruin the effect. Enjoy the primer on this but I hardly ever use the liner sealer since I don't want to contaminate my eyeshadow by putting a wet brush in my eyeshadow. The primer is pretty good. It gives my eyeshadow a really nice base that for some reason, I can't achieve the same look with some of my other high-end eye primers. This primer makes my eyeshadow look soft and not too extreme if that makes any sense....read more I love how this isn't a liquid or gel form like most eye primers but a stick that glides across my lid and I can just pat it out with my ring finger. Only bad thing is that the formula is not soft or creamy enough that it tends to tug when dragged across my lids.